JACKSONVILLE, Florida — Republican presidential nominee Donald Trump kicked off a marathon day of campaigning with a speech to over 4,000 supporters at the Jacksonville Equestrian Center on Thursday. 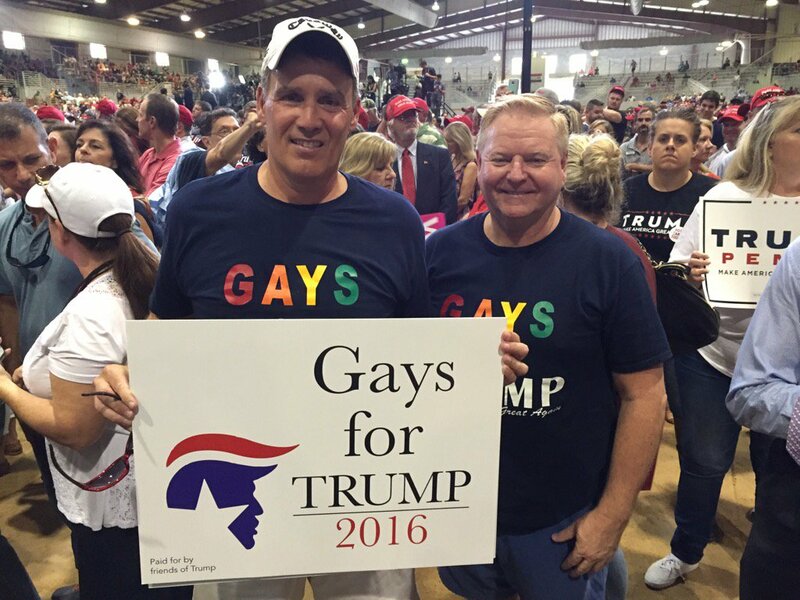 And John LaBarbera and Craig Starling, wearing rainbow ‘Gays for Trump’ T-shirts, made sure they were there. LaBarbera, who drove with Starling from Savannah, Georgia, to attend the rally, agreed, adding that he also preferred Trump’s economic policies. He said that he had lost several yard signs to theft, and had endured hate on Facebook. But he added that people at Savannah’s gay pride rally had been “kind” when they set up a booth for Trump, and that Trump fans at the rally had been “supportive” as well. 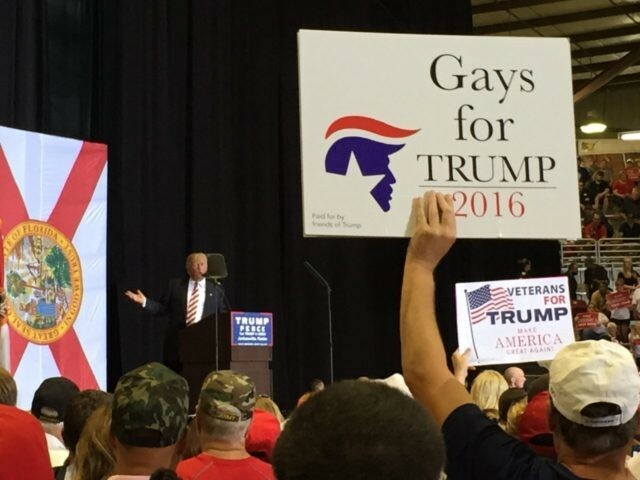 Other “Gays for Trump” signs have been popping up at Trump rallies elsewhere in the Sunshine State. 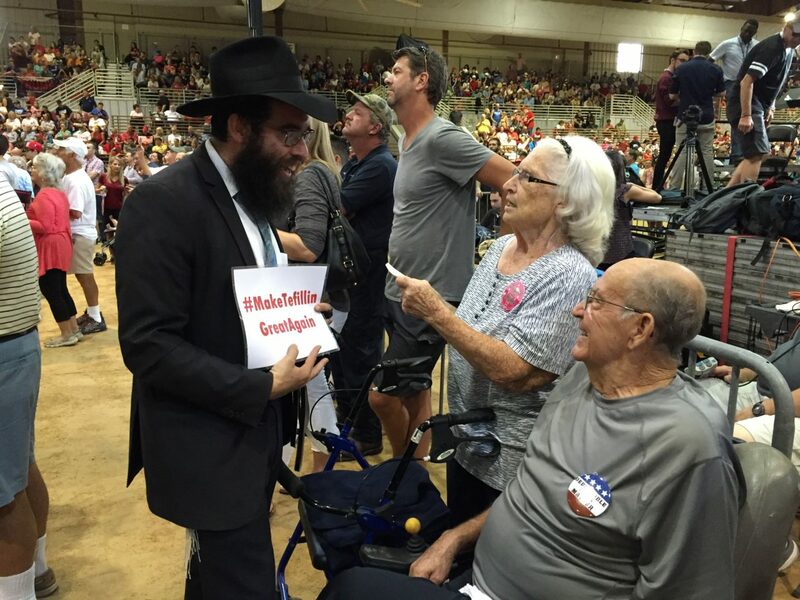 One supporter waved a homemade sign at Trump’s rally in Orlando on Wednesday. And Trump emerged onstage in Colorado on Sunday holding a rainbow flag with the words “LGBTs for Trump” written on it. Though the crowd in Jacksonville was predominantly white — and someone high in the stands even brought a Confederate flag — the supporters were an eclectic mix. Rabbi Eli Wilansky, distinctive in his black suit and hat, walked through the crowd, looking for Jews who wanted to put on tefillin, the leather straps and boxes that are traditionally worn by Jewish men in morning prayers. 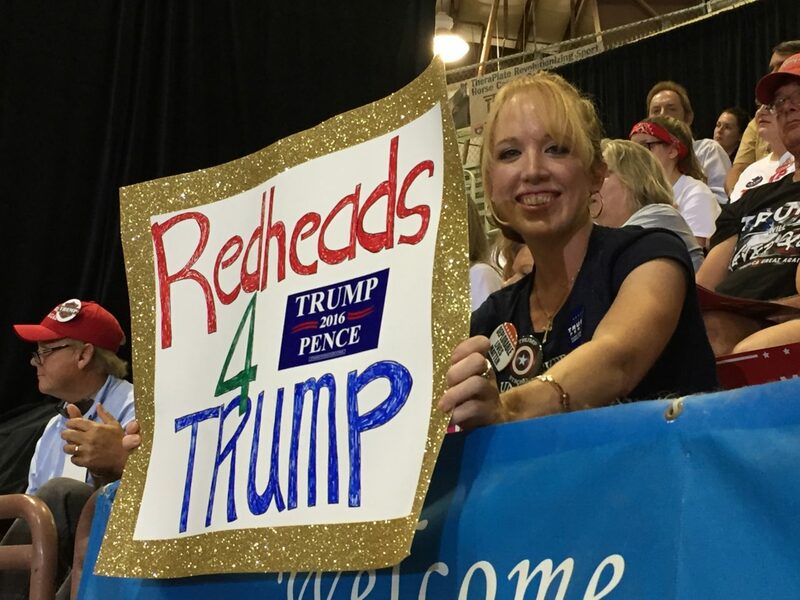 Andrea Colson of Jacksonville held a homemade “Redheads for Trump” sign. 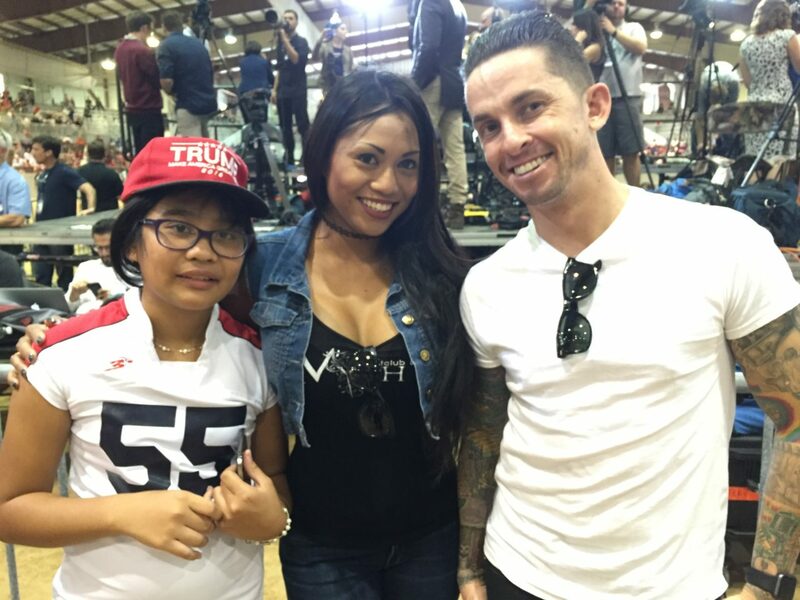 She said what inspired her to support Trump was his love for America. Galina, a Russian-American immigrant, said she supported Trump’s foreign policy. “I like the idea of peace between Russia and the United States,” she said. Kyle Helm, also of Jacksonville, said that he supported Trump because of his business experience. Trump’s major themes in the address included Obamacare, job creation and military spending. 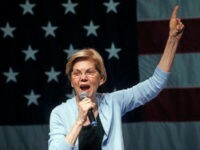 He touched on the latest news about the FBI investigation into Hillary Clinton’s email server, noting that an indictment had been reported likely in the inquiry into the Clinton Foundation. 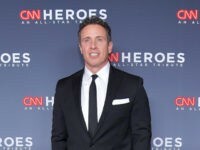 And he expanded on his recent remarks criticizing Hillary Clinton for cheating during the presidential debates by accepting leaked questions from former CNN contributor, and current Democratic National Committee chair, Donna Brazile. 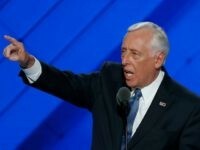 He added that Sen. Bernie Sanders (I-VT) had been the main victim of the cheating, and wondered why Sanders had not yet given up on Hillary Clinton. “Doesn’t he tell his supporters to go vote for trump at some point?” he asked, to cheers. Trump was scheduled to make appearances in North Carolina later Thursday. This post has been updated to correct Donald Trump’s schedule.